NBC and ABC on Monday and Tuesday knocked House Republicans for potentially "messing up" an extension of the payroll tax cut. 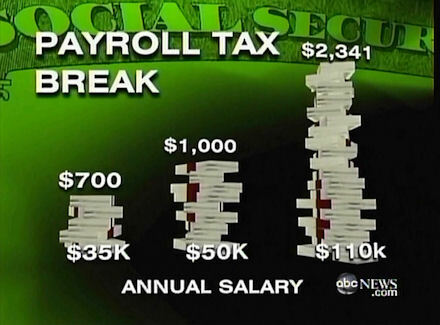 NBC's Kelly O'Donnell derided this as "holiday cheer gone sour." 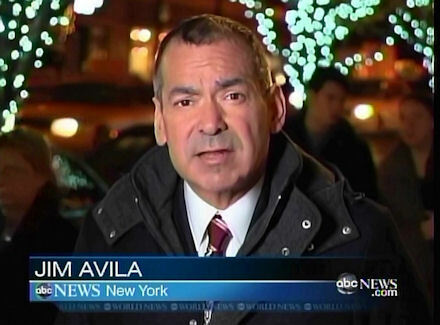 Over on ABC, World News correspondent Jim Avila spun the fight as one between unpopular Republicans and a resurgent Barack Obama. According to Avila, the country's anger is "reflected in today's ABC News/Washington Post poll, showing a job approval rating of just 20 percent for Republicans in Congress who have blocked the payroll tax cut while President Obama's approval rating jumped to 49 percent." On Tuesday's Today, co-host Ann Curry promoted "infighting" between the Republicans. Kelly O'Donnell insisted House Speaker John Boehner is "in a visible, awkward position where it could look like Republicans are messing up a tax cut, and that's all happening with the deadline of a ticking clock. Holiday cheer gone sour." The previous night, O'Donnell portrayed Boehner as "feeling the heat" and unable to control his own members. She gossiped, "And there is political fallout too, there are some questions about Speaker Boehner's leadership, his ability to deliver votes...But Boehner aides say the Speaker's position is secure." Officials from the policy-neutral National Payroll Reporting Consortium, Inc. have expressed concern to members of Congress that the two-month payroll tax holiday passed by the Senate and supported by President Obama cannot be implemented properly. On Tuesday, ABC's Good Morning America mostly ignored the subject, providing only two news briefs on the payroll extension. CBS's Early Show (as well as the network's Evening News from Monday) provided more restrained coverage. On The Early Show, Nancy Cordes explained, "House Republicans say that just creates too much uncertainty for the taxpayer, not knowing whether this payroll tax cut is going to expire after two months or not. And so, they want a one-year deal." CARL QUINTANILLA: Also, late night developments in the fight to avoid a New Year's tax increase for millions of Americans. Today House Republicans are moving to shelve a Senate-approved measure to extend the payroll tax cut and unemployment benefits for two months. House Speaker John Boehner says a short-term fix isn't enough. We'll get details from Capitol Hill coming up. ANN CURRY: Now to the showdown in Washington over extending the payroll tax cut that's set to expire at the end of this year. It's revealing some infighting between Republicans on Capitol Hill. NBC's Kelly O'Donnell has the latest on this story. Hey Kelly, good morning. KELLY O'DONNELL: Good morning, Ann. You don't see this very often. Most Senate Republicans joined with Democrats and the White House to agree on a short-term solution to get past the holidays, but House Republicans protested loudly, and that's put Speaker John Boehner in a visible, awkward position where it could look like Republicans are messing up a tax cut, and that's all happening with the deadline of a ticking clock. Holiday cheer gone sour. UNIDENTIFIED DEMOCRATIC CONGRESSMAN: It's Grinch time in Washington, Mr. Speaker. MARY KAPTUR [REP. D-OH]: Another phony crisis courtesy of the extremist "Bah Humbug" House Republicans. O'DONNELL: Unless Congress acts, on January 1st working Americans would pay higher taxes and jobless benefits would run dry for many long-term unemployed. House Republicans who met late Monday blasted the Senate solution, a two-month extension. JOHN BOEHNER: Our members do not want to just punt and do a two-month short-term fix where we have to come back and do this again. O'DONNELL: Republicans say two months is too short to take seriously. BLAKE FARENTHOLD [REP. R-TX]: Two months, really? Come on. That is really do nothing. What's going to be different in two months? O'DONNELL: Both parties set a goal of a one-year extension but that fell short on Saturday, when 89 out of 100 senators, Democrats and Republicans, settled on a two-month extension. Republican leaders even high-fived before the Senate left Washington for the holidays, thinking that the House would agree. STEVE WOMACK [REP. R-AR]: I didn't see the high-fiving going on, but I did hear the tune "I'll be home for Christmas" coming out of that mix. O'DONNELL: All this exposed a rift between Republicans in the House and the Senate. ERIC CANTOR: We outright reject the attempt by the Senate to kick the can down for 60 days. O'DONNELL: Democratic Leader Nancy Pelosi blames the Tea Party. NANCY PELOSI: It's just the radical Tea Party Republicans who are holding up this tax cut for the American people and jeopardizing our economic growth. O'DONNELL: The White House has tweaked Republicans, displaying a countdown clock that marks the number of days until a tax hike. JAY CARNEY: I think Americans who are paying attention to this must be pulling their hair out when they look at the House now refusing to do what the Senate did. O'DONNELL: And House leaders say their solution is to bring senators back to Washington and negotiate a one-year deal. They say there's still enough time to do that, but Majority Leader Harry Reid says no, he does not plan to bring his people back and that leaves us in this awkward position of not knowing what the next move is. The House could vote today, they're trying to sort that out. Ann. CURRY: And the clock is ticking because the year – the end of the year is coming up so fast. Kelly O'Donnell, thank you so much this morning. Boy, a lot of dysfunction in D.C.? CARL QUINTANILLA: Yes, you could argue that. Yes, absolutely.